There are not many heartwarming things out there these days. If you are looking to have your mood improved, that might be a difficult task. There are a few video games from the 1980s that one might recommend if you are looking to put a smile on your face. For example, I played “Donkey Kong” today on an actual arcade-type machine using an actual joystick. I couldn’t beat the first level. That game is strangely difficult, but it was a lot of fun, and the whole experience only cost me a few quarters. If you’re in a bad mood, you should try “Donkey Kong”. It works wonders. You can always turn to the internet, of course. There are a ton of great pictures that will improve your mood. Here are nine examples of heartwarming pictures that will make you feel better about life. This man is actually a professional wrestler. He is from Australia. He became famous in Japan for his vocal work, however. 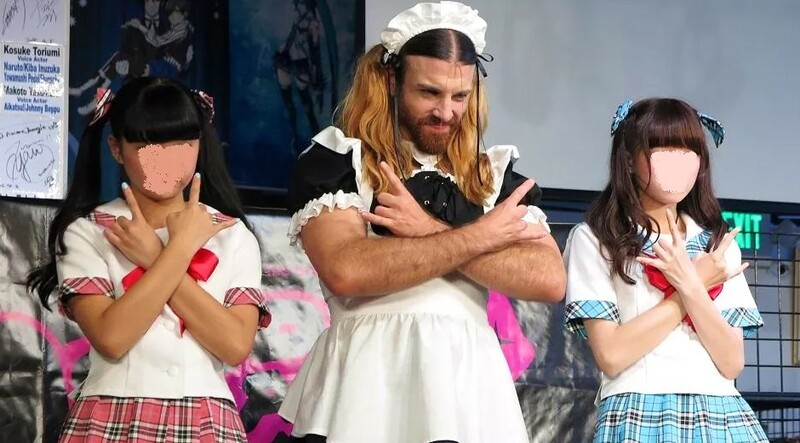 Technically, he is what is referred to as a “metal vocalist”, and he is also called “Ladybeard”, which is a neat name. He dresses like that a lot for professional purposes. I don’t know why I find this particular picture heartwarming, but I do. It definitely improves my mood, though, because it is just such an unusual sight. I guess what warms the heart is knowing that almost anyone can become a pop idol somewhere—with the right marketing, of course. This one is heartwarming for obvious reasons. Almost any picture involving a kitten will put a smile on one’s face. I prefer puppies myself, but that’s just me. I am guessing the old man owns the kitten, which is nice for him. People underestimate how important animals are to older people. I once worked for a politician, which is sort of against my nature; the only reason I did so, other than the need for money, was that he was devoted to the idea of keeping older people united with their pets. He was really big on taking care of the elderly, which I think is important, and pets become like family over the years. My dog is like a brother to me; he’s an obnoxious little brother who will pee on my carpet if I do something he doesn’t like, but he’s a brother nonetheless. It irritates me that—where I live—I can’t bring my dog on public transportation. There’s not much public transportation around, to be honest, but I’d still like the option. He’s a really small dog. It isn’t like he would take up much space. 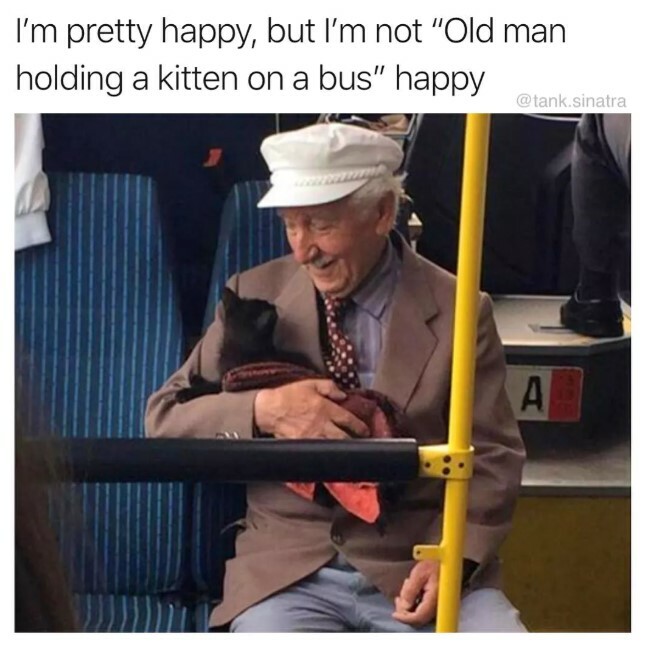 This guy is lucky that he was able to bring the kitten on the bus. 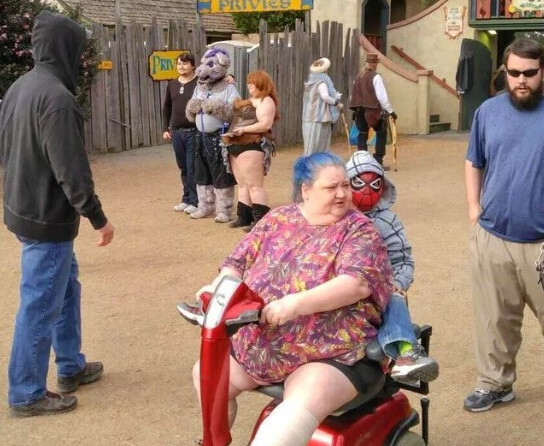 That must make the ride a lot more enjoyable. This is both a cute bee and a cute name for a bee—relatively speaking. 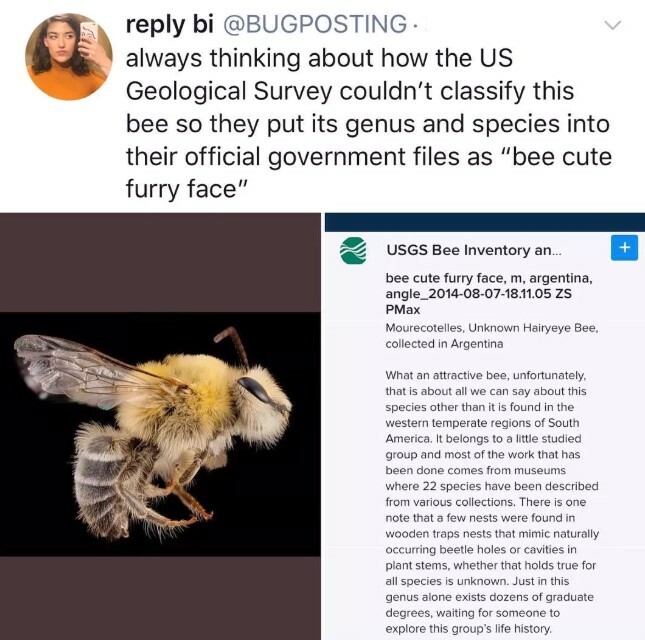 I have never really found bees very cute. When I think about bees, I often think about the time one flew up my dad’s pants. That could have been a real disaster. I have never seen him look more scared than he was that day. Both my mother and I have had major surgeries, but he wasn’t that worried. The bee up the pants, though? Oh, he was visibly terrified. I can’t really blame him. Also, in his defense, my mother has had approximately 20 surgeries—I have lost count. It gets a bit old. The last time she had surgery, I just said “see you later”. I am happy to report that my dad escaped the whole “bee” situation unharmed. He got it out of his pants. I also think of Jerry Seinfeld when I think of bees, and that is because he starred in “Bee Movie”, which came out in 2007. To sum it all up, Seinfeld voiced a bee who decided to sue humans. It didn’t get the best reviews, and to be honest I wasn’t a huge fan, but I’ll pretty much watch anything with Seinfeld in it. He was a big part of my childhood, and I still watch episodes of his show. It is hard to express just how influential that show actually was when it first aired. I hear that the kids today don’t think it is funny, but they are definitely very wrong. Once every few years, you manage to buy that perfect present for the person in your life. You can’t wait to give them that present. Giving presents, I think, is a skill; however, it is not one that you can really learn. You just either have it or you don’t. Most people do not. 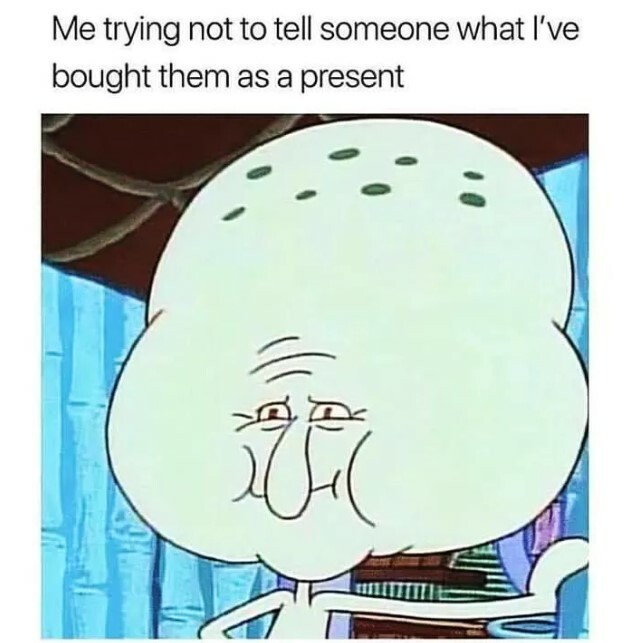 Most of my friends just give gift cards. Don’t get me wrong—I am grateful for the gift cards, and I can always use the gift cards, but there’s not a lot of thought there. You might as well just give someone cash. Sadly, a lot of people don’t really appreciate the super cool gifts you give them; therefore, it is easy to get lazy when it comes to the giving of the gifts. For example, last year I gave my neighbor a board game about a television show because she got her master’s degree. I knew that she liked the television show, and I knew that she likes board games. We’re not close or anything, but I thought it was a thoughtful gift; also, it cost me about $12, which is about all I can afford when it comes to buying presents. Still, all that said, I can’t help but be irritated that she never actually played the board game. She admitted that to me! Who would do that? I’m definitely not getting her a gift when she gets her doctorate. I have a different neighbor, though, who is extremely grateful for any gift. I gave her a little ladybug purse when she turned three—she was obsessed with ladybugs at the time for whatever reason—and she still wears it from time to time and also remembers that I got it for her. A little gratitude goes a long way! 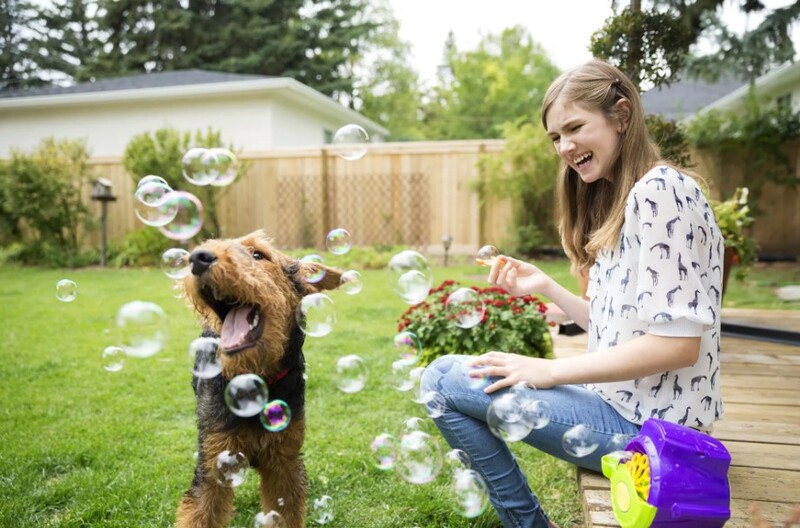 This dog definitely seems to be enjoying the bubbles. Prior to seeing this image, I couldn’t come up with a single reason for a grown adult to own a bubble machine. I was apparently wrong in regard to my thinking. I guess I shouldn’t be surprised; my current dog will chase after anything. He’s the size of a newborn baby, but he just can’t admit that to himself. If he sees deer, he’ll go after them. If he sees an enormous dog that clearly wants to eat him, he’ll bark at it. He’s an idiot! I was walking him a few weeks back and he barked at a hawk. It was flying pretty low—clearly looking for a meal. The dog barked at it! Who does that? He can remember where he left a toy three weeks earlier, but he isn’t smart enough to know not to bark at hawks. I’ll never understand that dog. I was actually pretty scared for his life. I ended up picking the idiot dog up and walking him to safety. The hawk was definitely looking at us. In case you’re unaware, hawks have great vision. I don’t know what I would do if a hawk attacked me. I assume, at first, I would pee myself and scream like a small child. Still, I like to think I would protect my dog. How do you fight a hawk, though? Can you just punch a hawk and knock it out of the air? I hope I never have to find out. 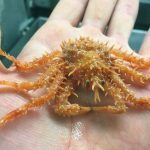 Nature is scary. Lately, my dog has started to notice airplanes flying overhead. He barks at them. It is the most ridiculous thing I have ever witnessed. Neighbors ask what he’s barking at, and I have to tell them that he’s barking at the airplane. In his weird little mind, he probably thinks the plane will land if he barks loud enough. Meanwhile, my neighbors are wondering how I ended up with such a silly little dog. 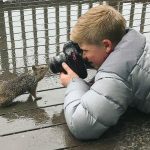 I do like squirrels, so I find this particular image heartwarming. 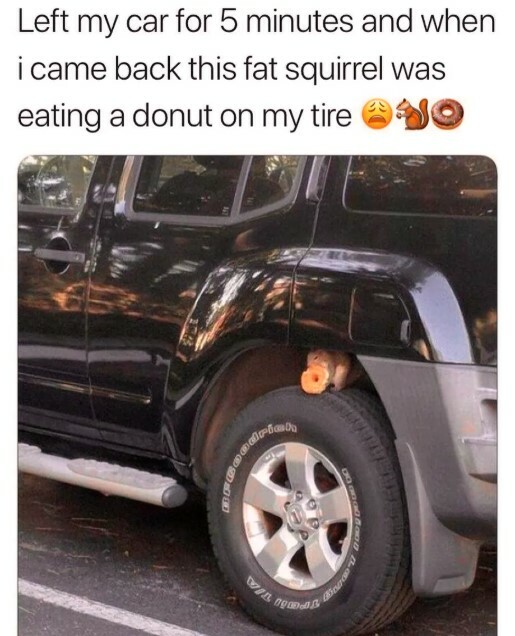 I do want to know where it got the donut, though. There is a Dunkin’ Donuts not too far from where I live, and I really want to check it out. It is hard to believe I haven’t been. I think I’m just worried that I’ll never stop eating donuts once I start. They’re not exactly health food. In case you are not aware, the company is rebranding itself as just Dunkin’, which I think is silly. Why would you change the name of a very successful business? There are over 10,000 shops in the world, but they are changing their name? I knew you could enjoy a Dunkin’ Donut restaurant in Canada and Mexico, but I am honestly surprised by the fact you can also do so in China, Russia, India, and Spain. This is an adorable child who is clearly enjoying a beverage. Either that or the kid is just sort of freaked out. 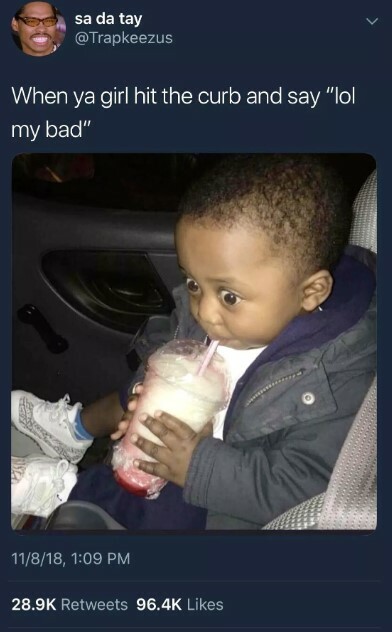 I get freaked out when other people drive, so I can relate. Pretty much every member of my family drives too fast; similarly, my friends are all terrible drivers. My friend, who was in two car accidents this year, claims he is a “great driver”. When I confront him regarding the accidents, he claims he is just “unlucky”. That may be the case, true, but there’s more to it than that. For example, he regularly calls people while driving around. He definitely shouldn’t do that. He focuses more on the conversation than not crashing into other drivers or hitting a curb. I admit that I have no idea why this guy is doing what he is doing. 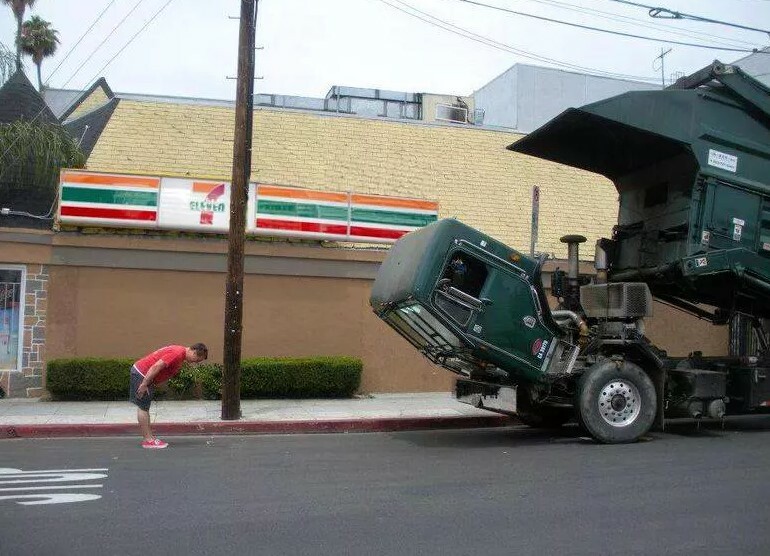 He apparently has a lot of respect for this truck. I can’t say that I have ever felt respect for a vehicle to the point that I bowed to it, though. I have formed emotional attachments to vehicles, however. It was a surprisingly emotional moment when I sold my old car. It was thirteen years old, so it was time, but I had owned it for many years, and we had been through a lot together. I had given it a name and everything. The dealership to which I sold it was clearly going to sell it for scrap metal, which was depressing. I bought a newer car from the dealership, and I remember driving away in the newer one with one final glance towards the old one, knowing that I would never see it again. That car was a big part of my life for a very long time. It was sad, but I got over it quickly. The new car is a lot better.